James Neiss/staff photographerNiagara Falls, NY - Thomas Pryce, business agent with Iron Workers Local Union No. 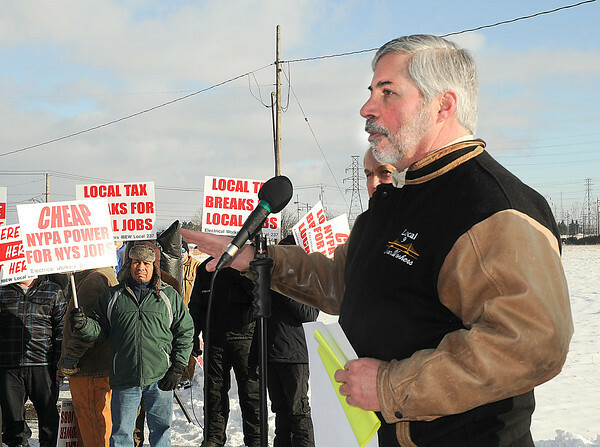 9 speaks to union members and media during a rally on Saturday. Niagara County building trades protest the lack of local hiring for a $430 million Norampac construction project.